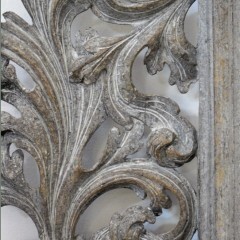 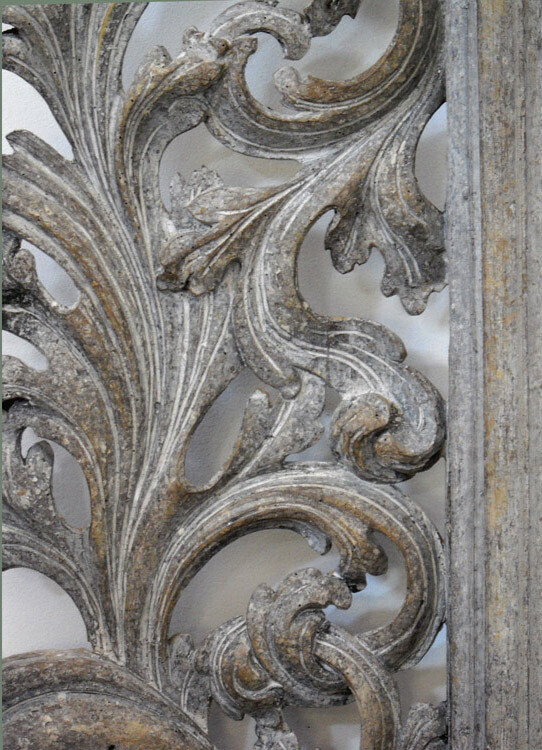 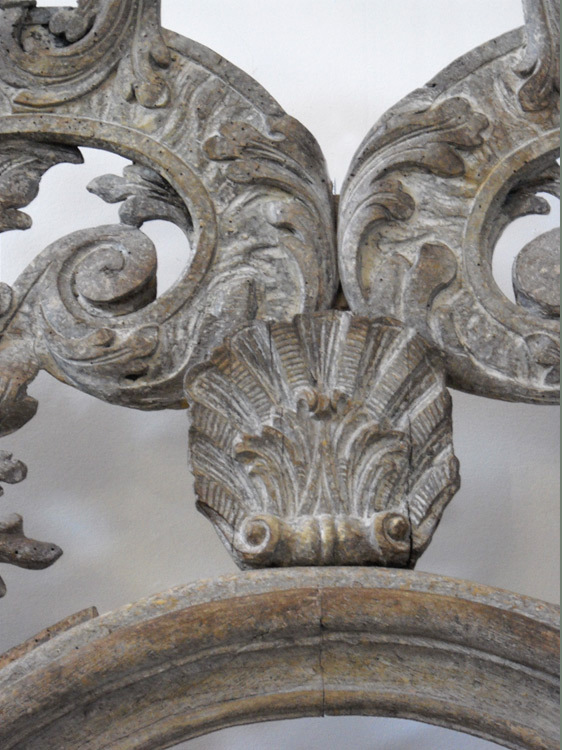 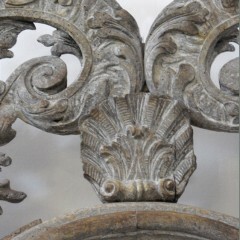 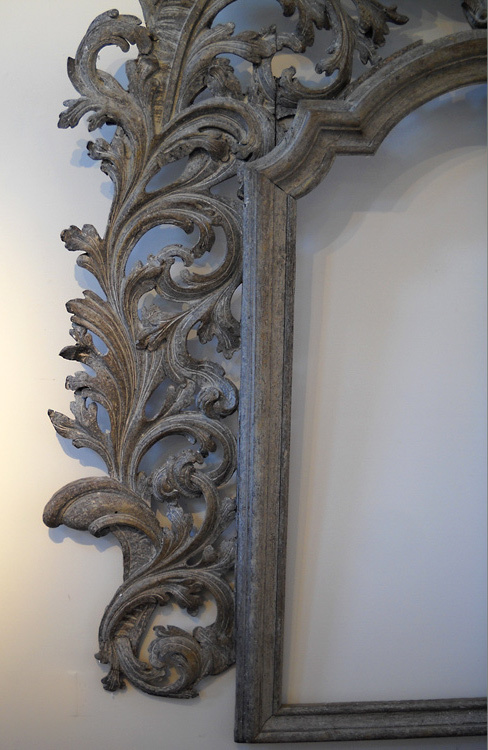 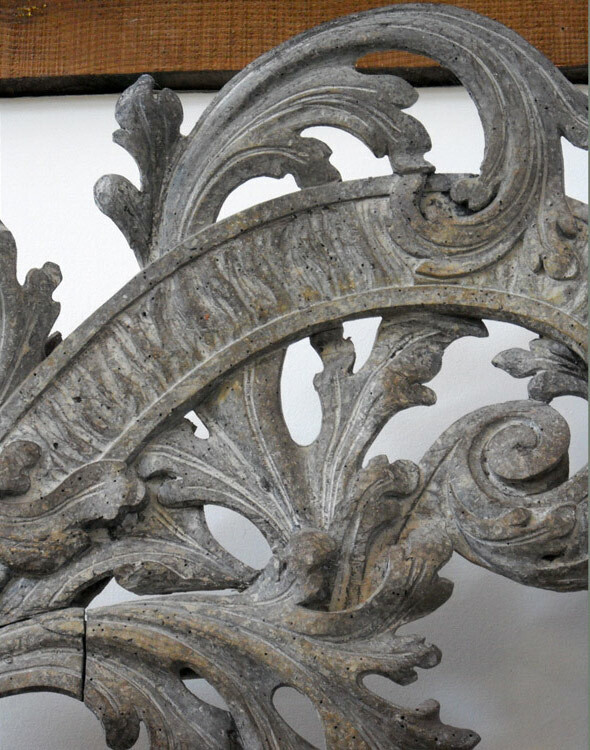 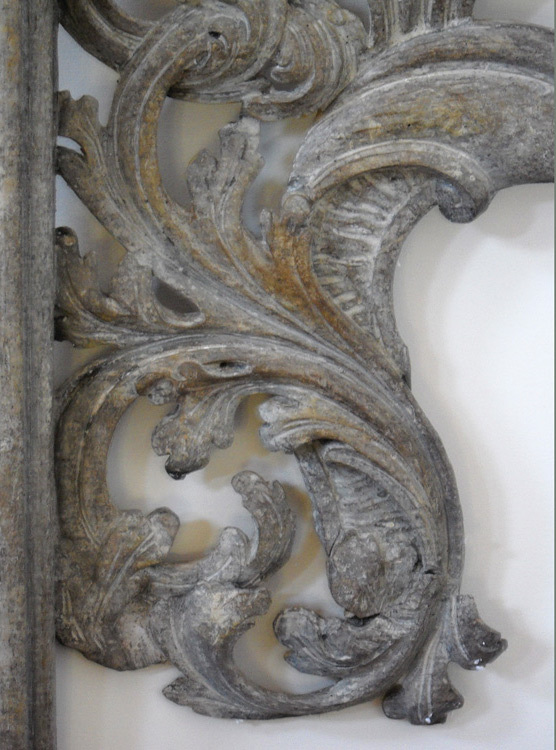 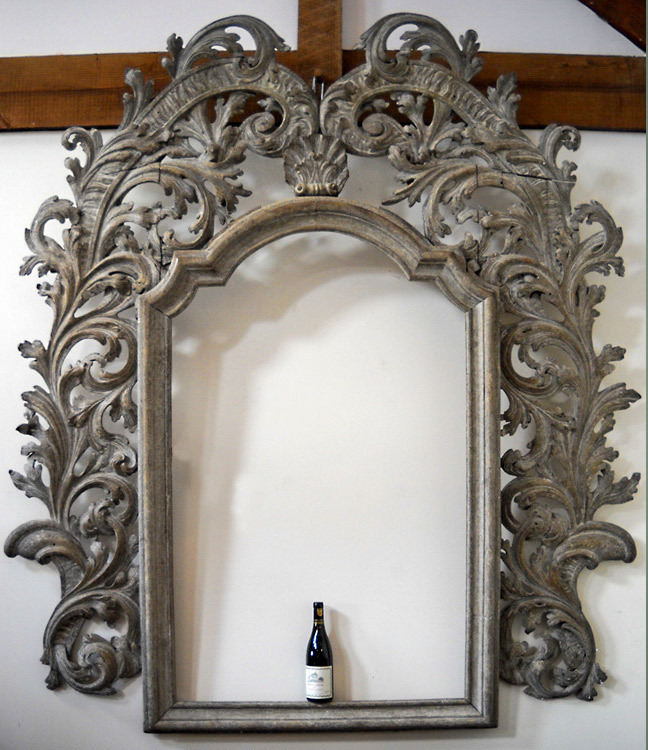 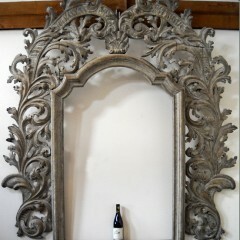 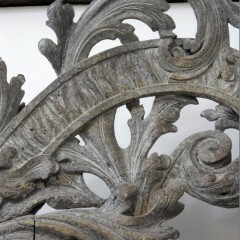 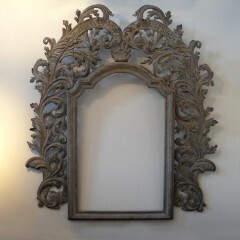 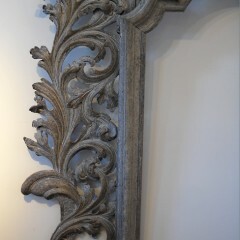 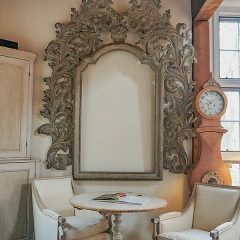 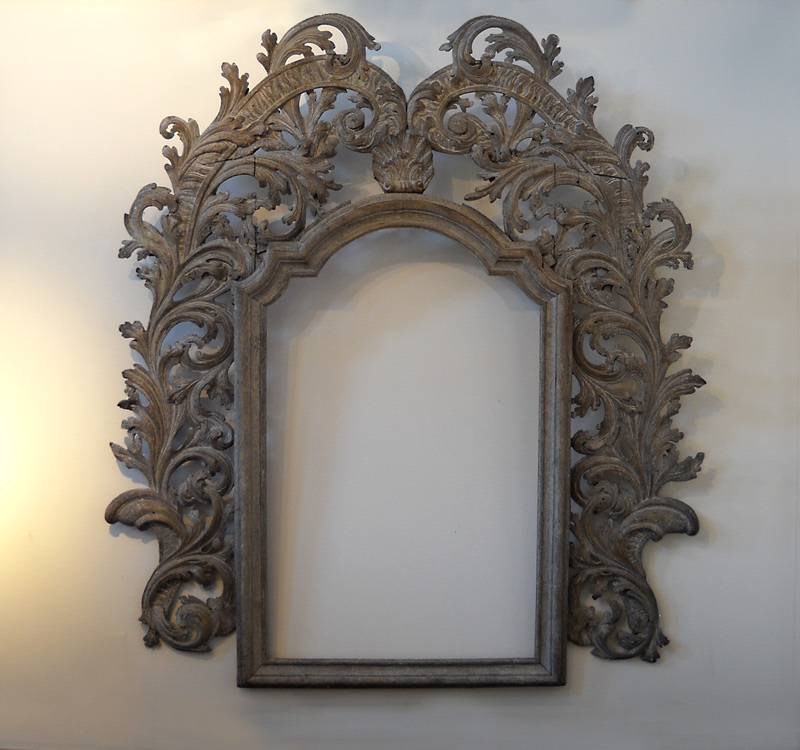 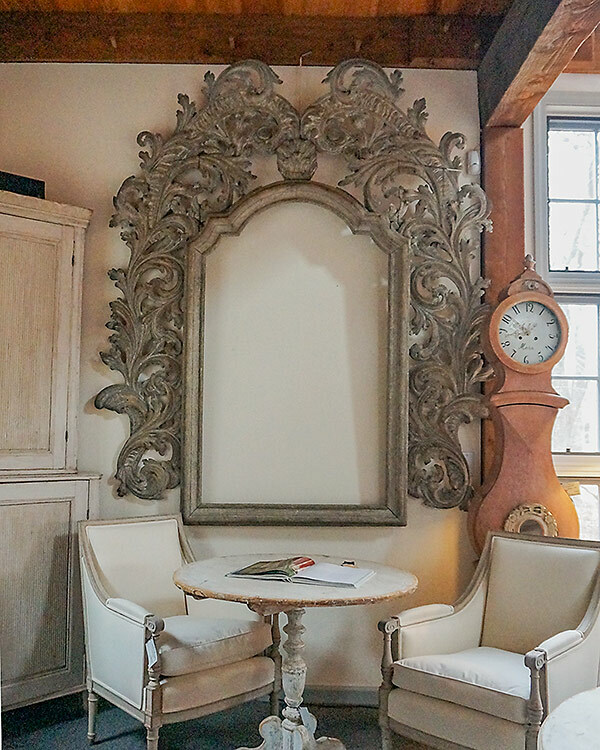 Large baroque carved frame, Italy circa 1650, in natural fruitwood. 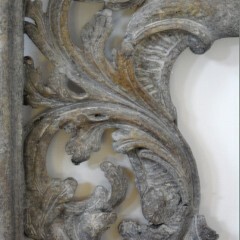 Probably from a church where it would have surrounded a painted canvas. Original surface with wonderful patina.